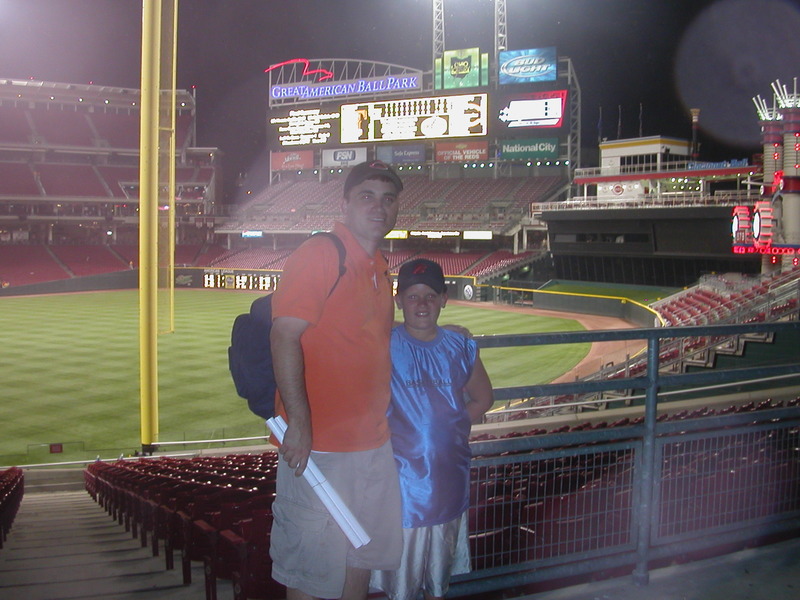 Two Friday’s ago, my nephew Dalten came up with my dad and his wife to enjoy a little Cincinnati Red’s baseball action. We enjoyed our time in great seats, eating hotdogs and gummy worms, watching the Red’s beat the Texas Rangers. It was great to hang out with this fine young man. He had just returned from church camp and smoked me on naming all the books of the Bible in order. He did it in 60 second flat. I got stuck somewhere in the minor prophets. We talked about the upcoming Transformers movie, Star Wars, The Chronicles of Narnia and the Harry Potter books. He is very bright and reads a ton of books, plus he plays sports like baseball, basketball, and football. He is a top student in his class and a very respectful young man. I am very proud of my nephew D.